Stargate is one of the longest running sci-fi franchises in history, spanning several films, critically acclaimed TV shows, and even a web series. It was based on the existence of a device which allows people to travel across cosmos – the Stargate – and through it, the heroes were able to embark on numerous adventures and battle enemies across the stars to return victorious. At the center of these escapades were brave women who proves themselves smart and capable time and time again, when it came to strategy and combat. Whether they were military combatants, medical officers, or scientists – they all lended their skills and knowledge to help save the Earth. Women were always an integral part of the Stargate franchise, and the actresses who played these key characters delivered great performances, no matter what their character’s story arc was. They presented both the darker, more dramatic sides of these characters, as well as the lighter side along with the signature sharp humor of the franchise. The talented actresses on this list, who played their iconic roles for many seasons, have moved on to other ventures – some within the sci-fi genre, and some outside of it. 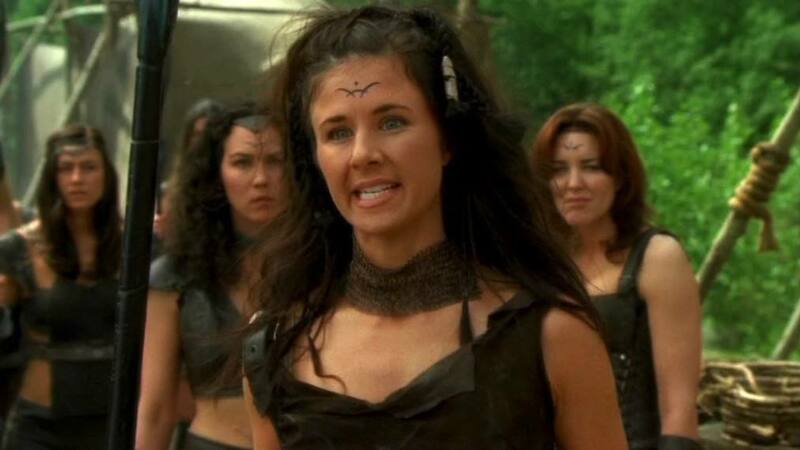 So what have these fierce ladies been up to since Stargate ended? Read on to find out. 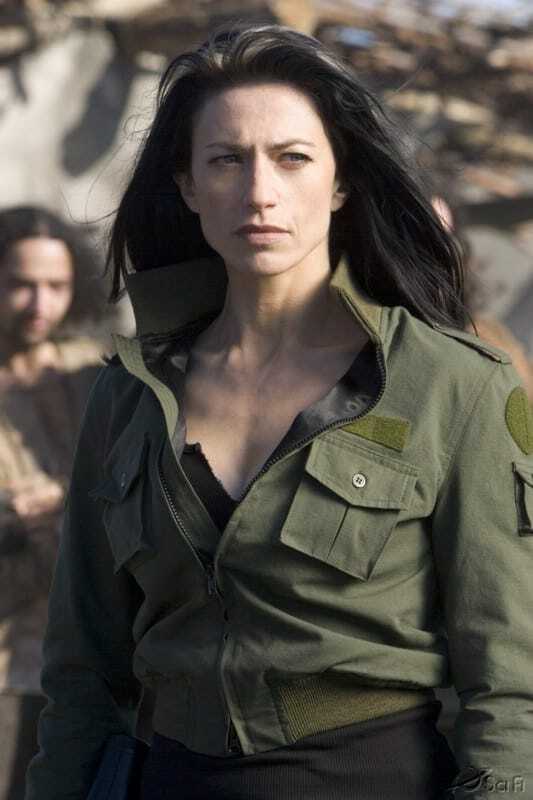 Vala Mal Doran is initially introduced to us as a thief and a con artist, who is set free after the demise of the Goa’uld, the first enemy tackled in the series. Despite her less than honorable ways, she proves herself to be a true heroine by sacrificing her life to save the galaxy. We find out later that she is still alive, and she continues to prove her loyalty by warning Stargate Command of a new enemy – the Ori. She eventually becomes an official member of the team, and even helps fight against her own daughter, Adria, who is the leader of the Ori, and is half Ori herself. Other than her role in Stargate, Claudia is mostly known for portraying the role of Aeryn Sun in the science fiction show Farscape between 1999 and 2003. The Sydney, Australia native became one of the most sought-after actresses in sci-fi, and after departing the show, she continued her way mainly in voice acting. She lent her voice to popular video games such as Call of Duty, God of War, Gears of War, and Diablo. Games like Dragon Age and Uncharted even modeled the character to look exactly like Claudia. The actress also had recurring roles in television shows like CW’s fantasy show The Originals, drama series Containment, 90210, and the animated comedy Rick and Morty. Once working at the CDC, Dr. Carolyn Lam joins Stargate Command as the chief medical officer after the death of her predecessor, Dr. Janet Fraiser. Dr. Lam joins the undercover base unbeknownst to the fact that her estranged father is the commander. As the show progresses, she becomes less resentful towards him as she understands the difficulties he went through having to keep everything about his line of work a secret. The two reconcile, and she even helps her parents restore their marriage. Lexa knew she wanted to become an actress from the early age of nine. After doing some modeling as a teenager, in her 20s she was cast in small parts on several TV shows and TV movies. She became famous after landing the role of Andromeda Ascendant, the ship’s A.I. in the sci-fi show Andromeda, after which she moved on to Stargate SG-1. Since then, she had recurring roles in other sci-fi shows like V, Supernatural, and Arrow – and she’s currently a regular on drama series The Arrangement. Dr. Elizabeth Weir was a famous American diplomat who was stationed to lead the Stargate Command by the U.S. president. After filling the position for a short while, she went on to being the leader of Atlantis Expedition. Without being able to open the Stargate due to a malfunction, she led the expedition to their new home of Atlantis with the little resources she had, and with her great sense of diplomacy helping her through. Torri is a Canadian actress, who’s done a lot of work in the local acting scene in Canada – both in television and theater. 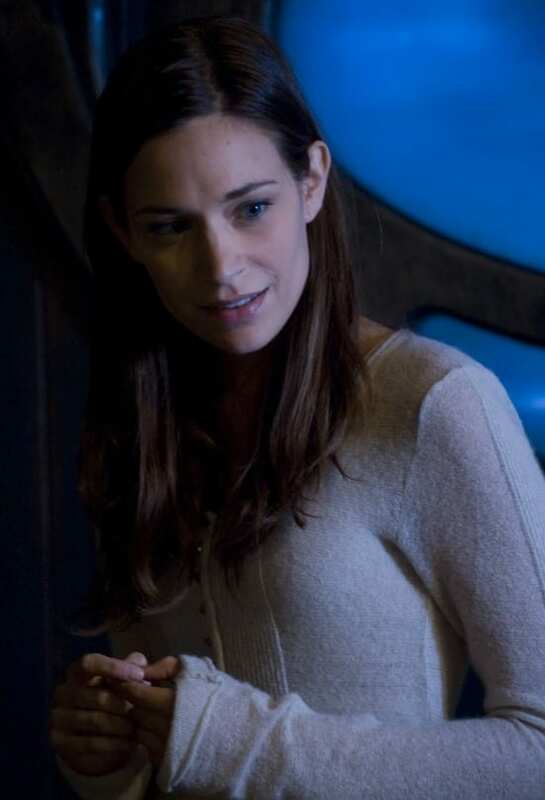 Aside from Stargate: Atlantis, the actress also had roles in Criminal Minds: Suspect Behavior, crime drama NCIS, the adventure mystery show Dark Matter, and a Canadian web-series called Inhuman Condition. In 2017, she took part in the mystery drama film Ordinary Days, as well as a thriller called Fake News, and the sci-fi movie Nobility. Teyla Emmagan is the leader of a human group called The Athosians, which the Atlantis Expedition crosses paths with in the Pegasus Galaxy. Teyla’s people are experts in trade, so she lends her experience and knowledge to assist the expedition. Teyla is also highly skilled in hand-to-hand combat and military tactics, and possesses the ability to sense the proximity of the Wraith, a vampire-like species that feeds on human’s life force. These abilities come in handy to Teyla as the unofficial third-in-command of the Atlantis. 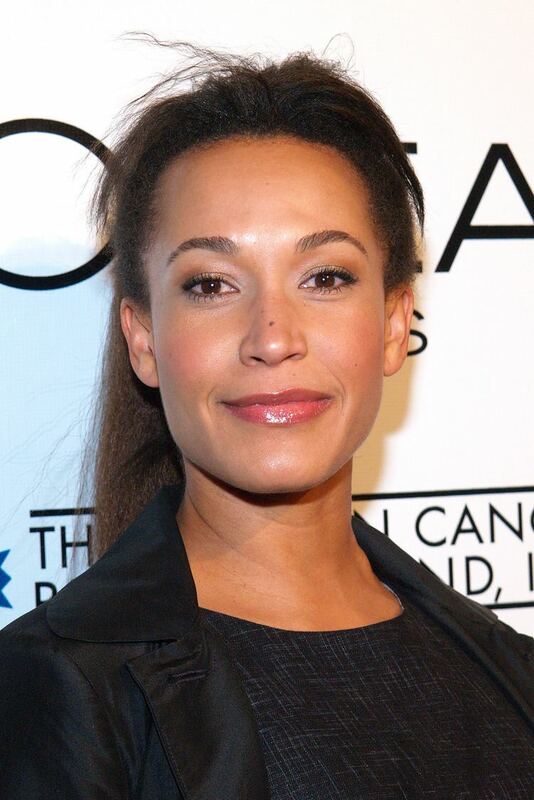 Rachel Luttrell’s father, a former member of the Toronto Mendelssohn Choir, trained her to sing as a child. She also studied ballet and piano as a child, but later moved on to acting. 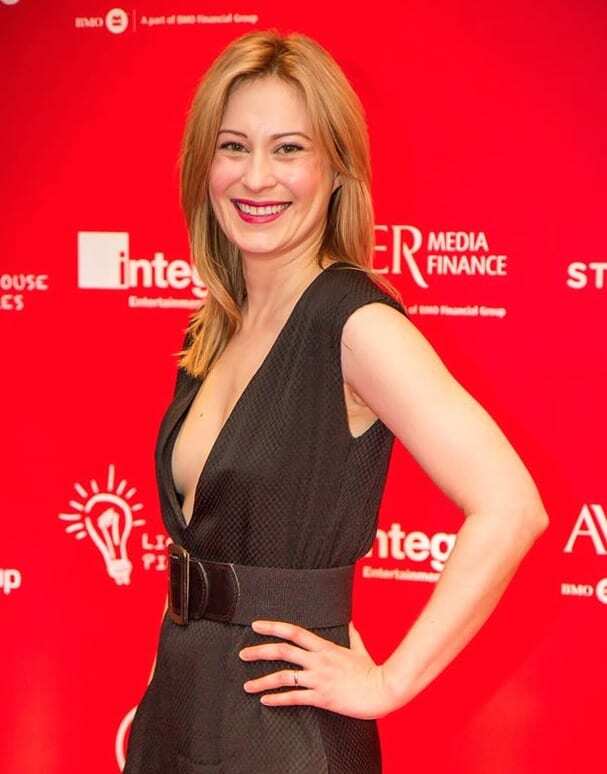 The Canadian actress had roles in shows like CBC drama Street Legal, House, Charmed, and medical drama ER, before landing the role of Teyla Emmagan in Stargate: Atlantis. After leaving the show, she took part in the sci-fi action movie Hardwired, alongside Cuba Gooding Jr. and Val Kilmer. Dr. Jennifer Keller was a staff member of the medical crew on board the Atlantis Expedition. Following the death of the former Chief Medical Officer, Beckett, Keller was forced to take on his role as head of the infirmary – despite not wanting to fill the role. Later on, her character became a regular on the series, going on missions with the Atlantis, and developing romantic ties to both the smart Dr. McKay and the tough Ronon Dex. Jewel Staite began her way as a child actress at the age of only 11, when she appeared in the CBC family drama Liar Liar (not to be confused with the movie starring Jim Carrey). She rose to prominence when playing the role of mechanic Kaylee Frye in the cult sci-fi series Firefly, and reprised her role for the Firefly movie, Serenity. She also had a recurring role in crime drama The Killing, and guest appearances in DC show Legends of Tomorrow, and Castle (starring her Firefly co-star, Nathan Fillion). Chloe Armstrong is daughter to the U.S. senator whose vote was necessary for the Icarus Project, which was supposed to unlock the final mystery of the Stargate. The project already had funding of over a billion dollars, but a group of rogue humans who were against it attacked the base, killing Chloe’s father, and leaving her stranded on a ship called Destiny with strangers. Using her diplomacy skills, she manages to find her place within the personnel aboard the ship. Elyse Levesque also started her acting career at a young age, taking part in the acclaimed children’s TV show Incredible Story Studio when she was only 11 years old. Aside from her role in Stargate, the actress appeared in movies like the sci-fi action Sons of Liberty and the 2015 comedy Spare Change. In television, she had roles in shows like CW’s supernatural drama The Originals, crime drama Shoot the Messenger, Legends of Tomorrow, and sci-fi action series Orphan Black. Camile Wray, who represents the U.N. in the Icarus Project, also gets stranded aboard the Destiny. As chief civilian officer, she constantly defies the expedition leader Colonel Everett Young, and even tries to arise a failed coup. As the status quo was eventually maintained, she continued to look after the civilians aboard the ship, and served as a mother figure to young Eli, who was left without a caretaker. Camile tries to keep a long distance relationship with her girlfriend, Sharon, but ends up telling her she should move on. Ming-na Wen is a Chinese-American actress, whose voice you may recognize from the Disney animated movie Mulan. 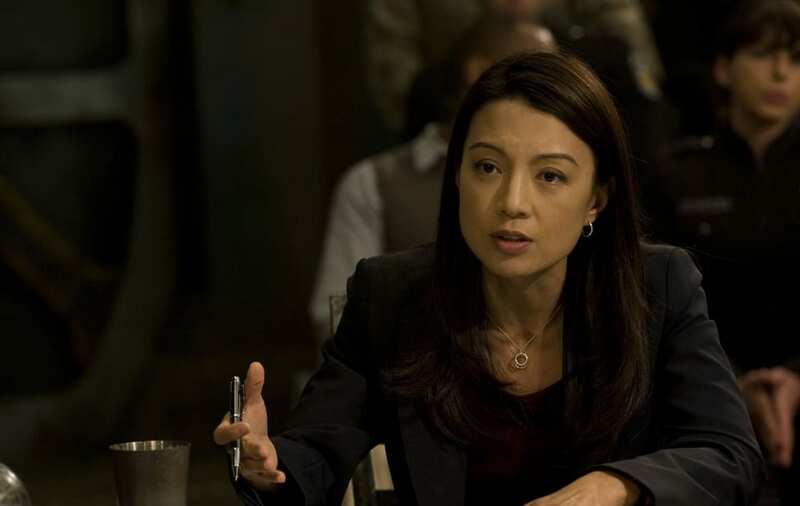 Aside from that, she’s mostly known for playing the role of Agent Meilnda May in the Marvel series Agents of S.H.I.E.L.D., as well as her role of Dr. Jing-Mei Chen in the medical drama ER. The talented actress guest appeared on shows like Two and a Half Men, Fresh Off the Boat, adventure dramedy Eureka, and mystery thriller Vanished- and also starred in the movie The Joy Luck Club and in Street Fighter. Lieutenant Tamara Johansen is also one of the people stranded on the ship Destiny. She used to be a combat medic for the Air Force, but after having an affair with the married Colonel Everett Young, her commanding officer, and getting pregnant – she decides to quit. Before she manages to do this, she finds herself stuck upon the ship along with the father of her unborn child. She also has a mysterious illness which puts her life at risk, but as the show ended prematurely, the illness was never revealed. Alaina Huffman made herself quite an impressive career in television, after appearing in numerous shows – from dramas like Dawson’s Creek and The O.C., to sci-fi shows like Painkiller Jane, Smallville, and Supernatural. Beginning as a model at the age of 13, Alaina started acting in college, after being cast in roles on student films. She’s currently married to actor and producer John Henry Huffman IV, with whom she has four children – and focusing mainly on her family life. Adria is the main antagonist in the last two seasons of Stargate SG-1, as well as the movie Stargate: The Ark of Truth. Created by the Ori to be a human-Ori hybrid, she becomes the leader in their conquest to force the inhabitants of the Milky Way Galaxy to join their religion. She often battles her own mother, Vala, but always remains true to her evil cause. She later harnesses the power of the Ori after they’re destroyed, but doesn’t last long when she’s eventually defeated by Morgan Le Fay. Brazilian-American actress Morena began her way in the cult sci-fi series Firefly in the role of Inara Serra, and later continued within the sci-fi genre on shows like V, The Flash, Gotham, and the animated Justice League Unlimited. She also played the role of Nicholas Brody’s wife, Jessica, in the action drama Homeland – a role for which she was nominated for an Emmy Award. The talented and beautiful actress recently appeared in the hit Marvel film Deadpool, and is currently set to appear in the sequel as well. 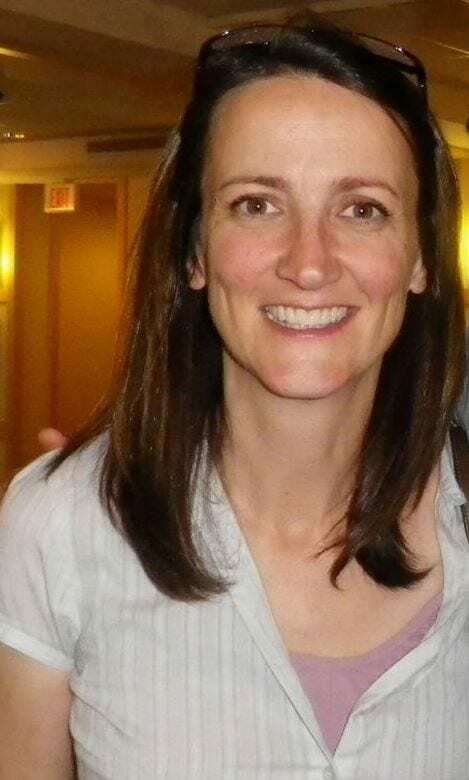 Dr. Lindsay is an anthropologist for the United States Air Force, one who’s both brilliant and crafty. We meet her when she first interviews for a high position in the unit, and makes a strong impression. Her knowledge of languages is what lands her the job, as she’s fluent in many languages, including three different dialects of Goa’uld. And she does a great job in her role, uncovering mysteries when necessary, and even helping uncover the assailants of Major Evan Lorne’s team. 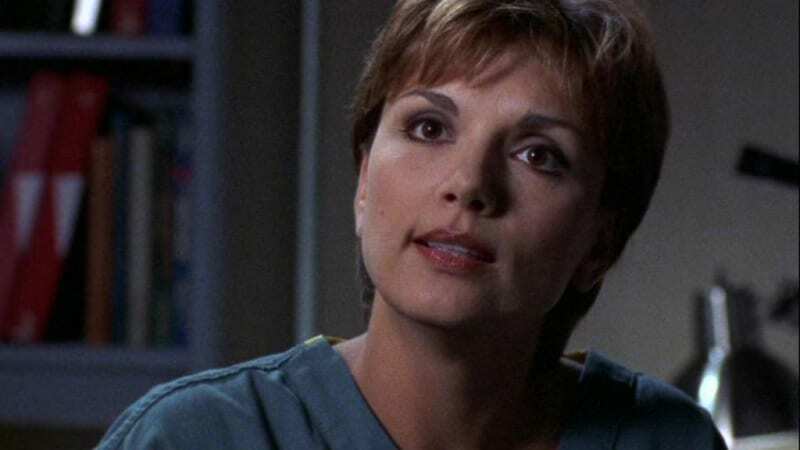 Before playing the role of Dr. Lindsay on Stargate, the Canadian actress played a part in Showtime’s hit romantic drama The L-Word, as well as the Stephen King based horror miniseries Kingdom Hospital. 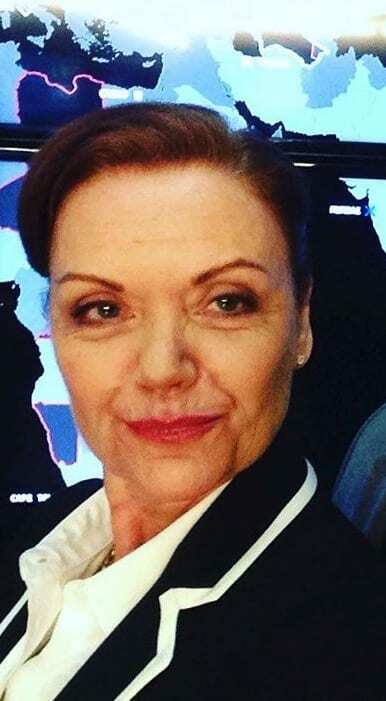 She had starring roles in several short films after her appearance on Stargate, but more recently she played a variety of different characters in a Canadian sketch comedy show called Royal Canadian Air Farce. Penelope has since taken a step back from acting, focusing on her personal life instead. 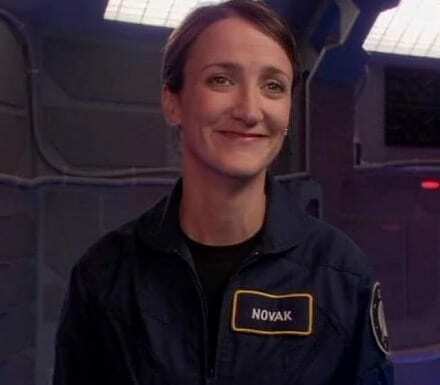 Dr. Lindsay Novak is an engineer aboard the Atlantis. She has a tendency to panic, and suffers from hiccups every time she’s in a frightening situation, which makes everyone notice she isn’t exactly cool and collected. The symptom nearly stops her from getting her PhD, since she gets so nervous during a presentation that she almost doesn’t succeed in completing the degree. But despite this, she still manages to successfully save the USS Daedalus after it suffers a massive attack by an enemy ship. Other than playing the role of Lindsey Novak on Stargate, Ellie Harvie is mostly known for portraying the sly Morticia Addams on the ’90s show, The New Addams Family. The talented Canadian actress has over 120 titles under her belt, including features like the teen comedy I Love You, Beth Cooper, thriller The Assignment (alongside Michelle Rodriguez), and the romantic comedy Love Happens (starring Jennifer Aniston). Ellie is set to lend her voice to the upcoming animated film The Adventures of Shadow and Ally. Shen is a brilliant graduate of the London School of Economics. Shen was one of the first to be assigned by the International Oversight Advisory – the United Nations authority – to go into space. She initially wanted to stay on Earth to further pursue her academic career, but she eventually gave in. She goes on a mission aboard the Atlantis, thinking she’s only supposed to conduct a basic evaluation for the ship, but learns she was actually put there in order to reassign Woolsey. The Japanese-American star Tamlyn Tomita is not only a talented and beautiful actress, but also a singer. In fact, she’s even released an album back in the ’80s with a major record label. The actress is currently starring as a series regular on the ABC medical drama The Good Doctor, as the solemn head of the hospital, Allegra Aoki. She has also recently finished filming two comedy drama movies, First World Problems and The Living Worst. Lord Osiris is not one to be messed with. This forceful ruler is an ancient Egyptian lord that lies within the human female body of Dr. Sarah Gardner. When she accidentally opens the Osiris jar, his spirit is set free to take hold of her body. The doctor turns from an innocent human into a cruel and powerful force. Osiris is killed once his personal shield is penetrated by one of his enemies, setting Dr. Gardner free. Anna-Louise Plowman was born in New Zealand and moved to London when she was young to pursue a career in acting, finding work almost immediately. In 2003, she had a major role in the British miniseries Cambridge Spies, playing the mistress of a top spy, where she met her future husband, co-star Toby Stephens. The two married after the series premiered and are raising their three children in London. 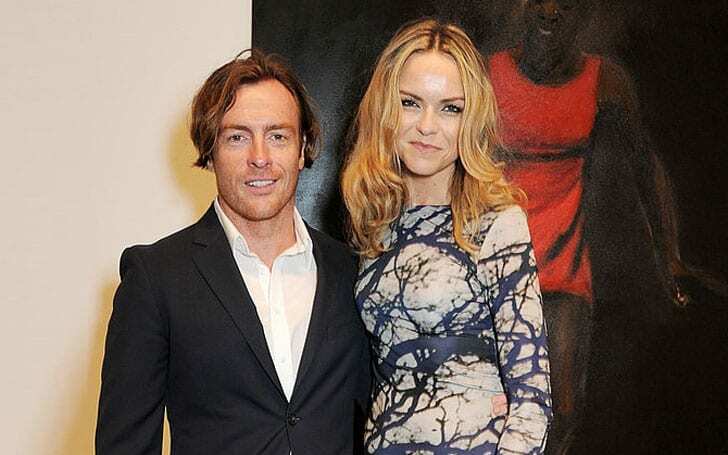 The actress recently appeared in the adventure show Black Sails, which stars her husband. Captain Alicia Vega is definitely a force to be reckoned with. She’s a source of authority, who always goes by the book and does the responsible thing. Without hesitation, she dives into a very dangerous mission to save Major Evan Lorne and Lt. Colonel John Sheppard’s team, after an accident trapped them under the rubble of a destroyed vessel. Once she succeeds, she becomes highly respected and is recommended to take on an even higher position. Besides playing the role of Captain Alicia Vega in Stargate, the actress is also known for roles like Kelly in the action comedy This Mean War (starring Reese Witherspoon), Clair in horror film Black Christmas, and Tracey Anne in the sci-fi show Battlestar Galactica. The Canadian actress’ last film was in 2014, when she played a small role in the Tim Burton drama Big Eyes, alongside Amy Adams and Christoph Waltz. She’s currently living in Vancouver along with her husband and their baby. Sora Tyrus is one extremely tough women, who’s highly trained both in combat and in precision shooting, almost never missing a mark. We first come across Sora when she tries to get the Atlantis team on her side by pretending to be a plain, innocent farmer. We learn her true colors later, in a particularly ferocious battle. And although she’s targeted to be assassinated, fortunately for her, she manages to survive and live another day. You might recognize beautiful Erin Chambers from her role as the conniving Siobhan McKenna Spencer in the hit soap opera General Hospital, or as Melanie Daniels in The Young and the Restless. The actress also made appearances on shows like teen drama Veronica Mars, CSI: Crime Scene Investigation, and the Nickelodeon comedy Drake & Josh. She also appeared in the most recent season of the sci-fi show The X-Files, as well as an indie rom-com called Saturn Returns. Val was one of the people stuck on board the Destiny, after the attack on the Icarus base. In the midst of the attack and everything that follows, she meets and falls in love with Peter. She eventually decides to stay on a lonely planet along with Peter instead of leaving him to go back to Earth, in order to further pursue a romantic relationship with him. However, it doesn’t quite turn out for the best, when she is accidentally killed by a tree that Peter had chopped down. The Canadian born Camille Sullivan began acting from a young age, appearing in parts in community theater and taking acting lessons. Besides her acting career, Camille is also skilled in kickboxing, in ice skating, and in swing dancing. On television, the actress has had roles in the apocalyptic series The Man in the High Castle, as well as ABC’s thriller Red Widow. She is set to star in a medical thriller show called Unspeakable, as well as drama film Day to Night. Amanda was only nine years old when she was made quadriplegic following an injury from a tragic accident. The brilliant scientist is hired by Dr. Rush to help set the Destiny spaceship back on track after its engine was destroyed – as she’s the best person for the job. Although disabled at first, she succeeds in switching bodies with Camile Wray, rendering her able to walk for the first time as an adult woman. She continues to switch different bodies, but is eventually killed. Kathleen Munroe was also booking work from a young age, and so she decided to move from Ontario to Los Angeles. Before entering the United States acting scene, she had roles in several Canadian TV shows. The actress appeared in crime drama TV shows like SCI: NY, NCIS: Los Angeles, and Without a Trace, as well as the cult hit series Nikita. In 2018, she will appear in the dramedy Elsewhere alongside Parker Posey and Beau Bridges, and in the mystery drama Birdland. Dr. Janet Fraiser is the respectable Chief Medical Officer of Stargate Command. Starting out as captain, she is later promoted to major during her seven years of service. As the Chief Medical Officer, she has the authority to overrule those who outrank her, when a medical issue is at hand. She does her job well, saving many lives, and emanates a lot of confidence and authority. After she gets shot and killed while treating a man in need, she’s replaced with Dr. Carolyn Lam. 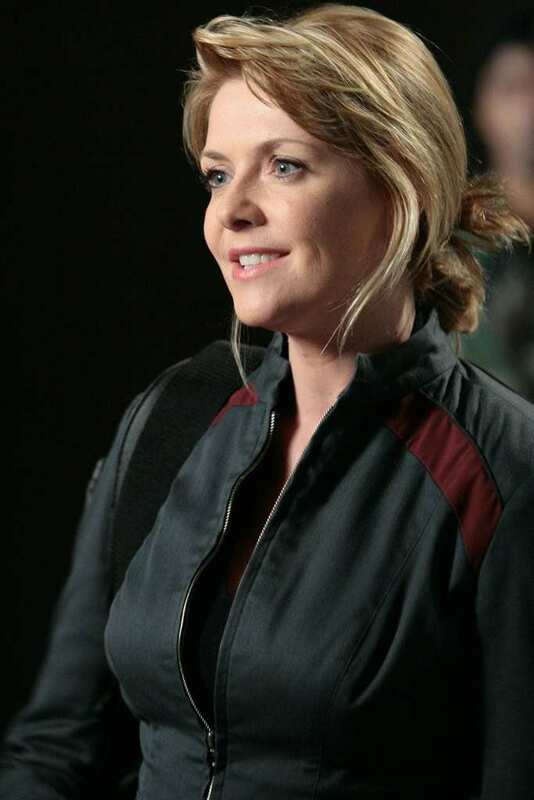 Teryl is mostly known for her role of Dr. Janet Fraiser in Stargate. Her acting career began when she was 18 and participating in a CBC Halloween special. 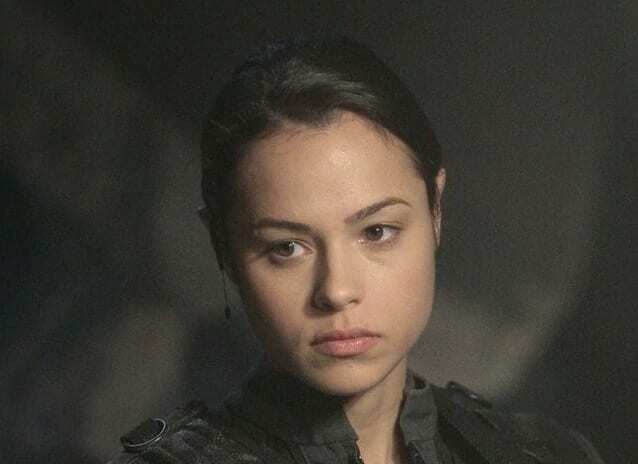 After Stargate, the Canadian actress moved on to other shows like the adventure dramedy Eureka, Smallville, sci-fi action series Caprica, and the DC show Arrow. She also took part in movies like horror drama Whisper, action film The Operative, and White Noise 2: The Light. The actress is currently playing the role of JL on the ABC medical drama The Good Doctor. Ka’lel is one of the female warriors of the Jaffa, who’s allegiant to the Hak’tyl Resistance. The Hak’tyl is an underground movement formed when the Goa’uld Moloc decided that female Jaffa were too weak and thus needed to be killed. The Hak’tyl Resistance wanted to save the Jaffa girls, and sought to cooperate with Stargate Command. After the Goa’uld Empire falls, an interplanetary government called Free Jaffa Nation is formed and Ka’lel becomes their representative in the Jaffa High Council. Simone started her career acting in theater, but later moved on to TV and film instead. On the big screen, she’s been in the musical comedy Last Wedding, action film I Spy (alongside Eddie Murphy and Owen Wilson), and the romantic comedies Good Luck Chuck and Life Partners. In television, other than Stargate SG-1, the actress had roles in Showtime’s romantic drama The L Word, action-adventure show Battlestar Galactica, the CBS crime drama Limitless, and the DC universe show Legends of Tomorrow. Erran is a human woman whom we encounter on the planet M33-985. After her village suffers an outbreak of a disease similar to influenza, both she and her son get checked up by Dr. Jennifer Keller of the Atlantis Expedition. When the Wraith arrive she courageously takes the villagers to hide in a cave outside the village. She also agrees to adopt Celise, a human girl whose home was completely wiped out by the Wraith. Chelah is another Canadian actress, who began her way modeling and appearing in commercials. Since the beginning of her career, the actress has taken part in many projects – she has more than 75 commercials and over 130 credits to her name. Some of her TV roles were on shows like The L Word, Canadian drama When Calls the Heart, and the romantic comedy-drama You Me Her. 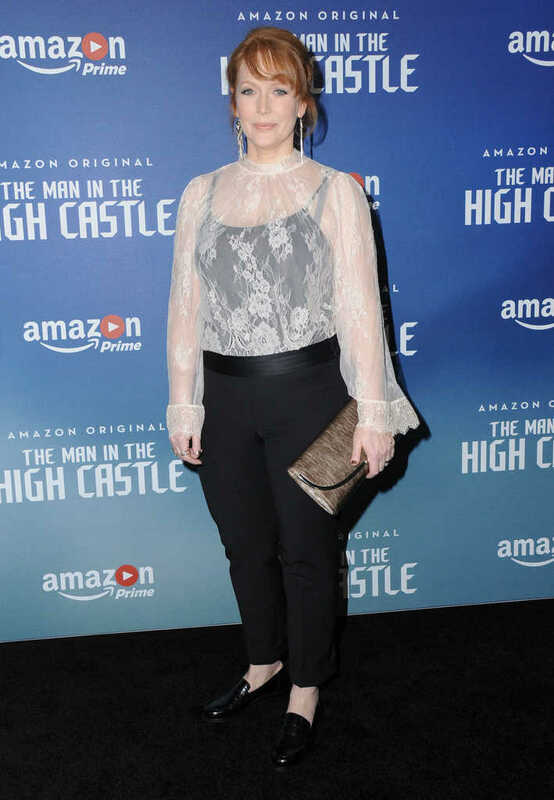 Chelah currently stars as Helen Smith in the sci-fi thriller, The Man in the High Castle. 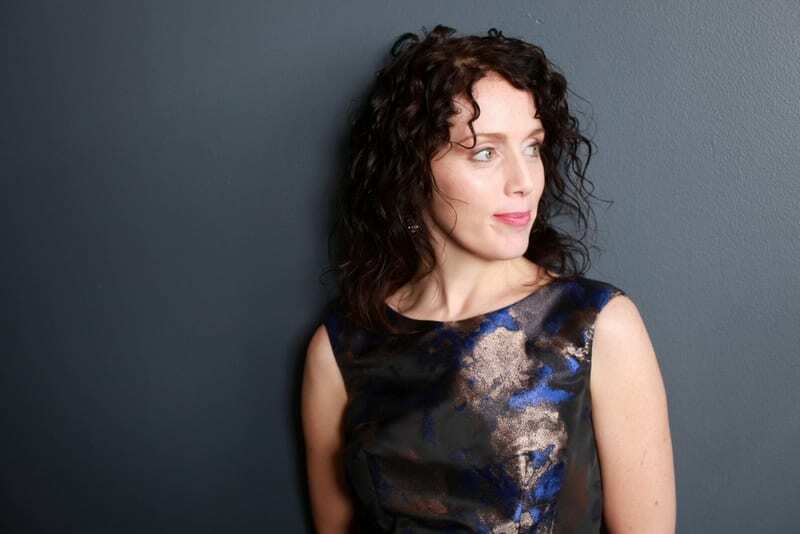 Julia Donovan is an ambitious and persistent reporter and the host of a news TV show called !nside Access. When she finds out there’s a secret military organization that has huge funding (Stargate Command), she decides to investigate. She’s granted entrance to the Prometheus facility, and after making discoveries about it, she agrees to sign a non-disclosure form – in exchange for getting leaked information about the facility, before it gets published in other news channels. Not to be confused with the Olympic gold medalist, Kendall Cross is a Canadian actress. Other than playing Julia Donovan on Stargate SG-1, the actress also had roles in shows such as Dark Angel, Smallville, the adventure drama Andromeda, sci-fi show Supernatural, and ABC’s fantasy show Once Upon a Time, to only name a few. Among the movies she took part in are X-Men 2, the Ashton Kutcher starring sci-fi thriller The Butterfly Effect, and the famous actions films Elysium and Snakes on a Plane. Dreylock is a Kelownan Ambassador, who later becomes the First Minister of the Kelowna nation. She’s very loyal to her people and devoted to to protecting them from both foreign and domestic perils. She goes along with Dr. Kieran and Commander Hale in a meeting with Stargate Command, wanting to trade their advanced technologies in exchange for a powerful weapon called Naquadria. However, Stargate Command refuse, not wanting their technology to be used by them for genocide. Gillian Barber was born in England but raised in British Columbia, Canada. 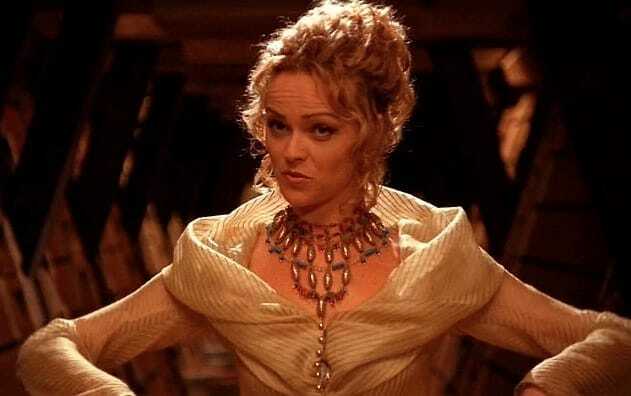 She began acting in the mid-’80s, and played roles in films like Jumanji, the Katie Holmes starring horror movie Disturbing Behavior, and the 2011 version of Hamlet. Aside from her role in Stargate, her TV work includes shows like the fantasy drama Witches of East End, The Man in the High Castle, and Supernatural. The talented actress also teaches at Capilano University in British Columbia, where she actually created the Musical Theatre program. Anise is first and foremost a scientist and archaeologist, who cares a lot about her job. She’s part of the Tok’ra, the Goa’uld resistance movement who live in voluntary symbiosis with human hosts. Anise is very motivated and driven, and often puts her work before the people she works with. She spends most of her life searching for the Atoniek armband technology, which gives anyone who wears it improved abilities, making them stronger and faster. Vanessa Angel (yes, that’s her real name), was born in England, and began her way in modeling. She was discovered in a London cafe when she was a teenager, and was signed by the agency Ford Models. She appeared on covers of magazines like Vogue and Cosmopolitan, and was the “Diet Pepsi Girl”. She later moved on to acting, appearing mainly in comedy movies like Kingpin (opposite Woody Harrelson), Kissing a Fool, The Perfect Score, and Hall Pass. In 2018, she’ll appear in the action film Hustle Down. Nirrti is a deceitful and immoral Goa’uld System Lord – the ruling class of the Goa’uld – who experiments in creating and taking advantage of advanced humans. It is her hope that if she takes their abilities (like telekinesis and telepathy) for herself, it could make her more powerful than ever. She’s so cruel, she’s believed to be responsible for killing almost every inhabitants of the planet P8X-987. However, she’s cast out by other System Lords when she almost ruins their relationship with the Asgards, by trying to take over their territory. Besides playing the role of Nirrti in Stargate SG-1, Jacqueline Samuda appeared in a variety of other shows, including Smallville, The L Word, fantasy action series Spooksville, The CW’s Arrow, and Supernatural. Most recently, the actress took part in the coming-of-age dramedy The Prodigal Dad, and guest appeared in the Audience Network comedy Hit the Road. As a former writing instructor in the Vancouver Film School and in UBC’s Writing Centre, she’s edited many screenplays, for movies such as The Delicate Art of Parking and The Foursome. 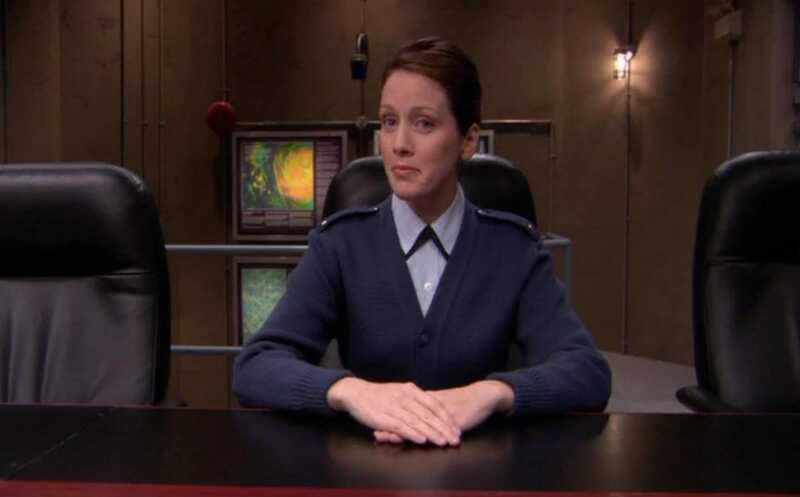 Erin Grant serves under Colonel William Ronson as a major in the United States Air Force, as well as a senior officer aboard the Earth ship known as Prometheus. She’s an extremely capable officer, who is loyal to those who outrank her and follows their lead seamlessly. Grant also pilots the ship during the Battle of Antarctica, where the Prometheus battles against powerful Goa’uld Anubis’ fleet. Her fate remains unknown, but it is assumed that she was assigned elsewhere, as she was replaced with Lieutenant Womack. Ingrid was born in London, Ontario, Canada, and was named Miss Teen London (Ontario) when she was only 15. The beauty moved to New York to study acting, and after doing some theater work, landed roles in numerous movies and TV shows. She’s mostly known for movies like Harm’s Way and the Morgan Freeman starring sci-fi drama Dreamcatcher, as well as shows like Jeremiah and the Canadian thriller drama Whistler. In 2001, Ingrid married professional hockey player and coach Dallas Eakins. Samantha Carter is the only character who was a regular on both Stargate SG-1 and Stargate Atlantis. She’s a physicist, as well as a military officer, who’s proven to be essential to every team she was part of. Her knowledge and expertise are crucial for integrating human and alien technology, and she lends her leadership skills when the Earth is under siege. Although she can be rigid, from time to time she can show her softer sides, and for that we love her. 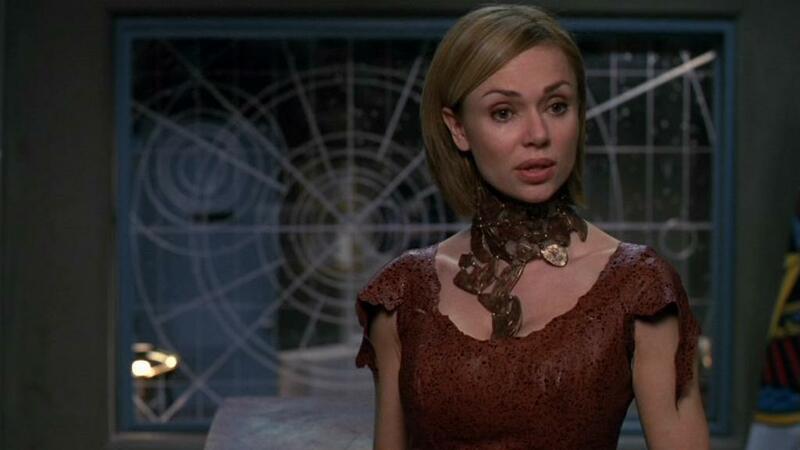 Amanda was the first main female character to be cast in the Stargate franchise. Although she’s a talented actress, she also enjoys directing. 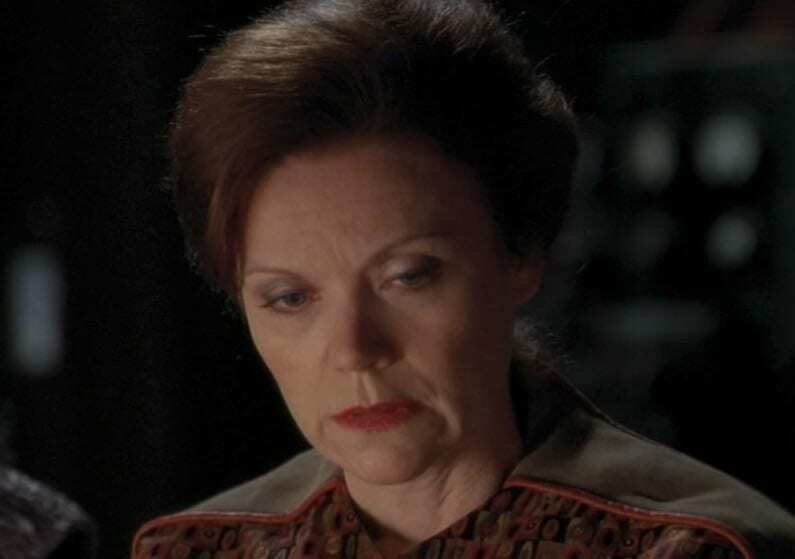 Other than Stargate, she’s appeared on other sci-fi shows like Flash Forward, The X-Files, and Supernatural, and also starred in the mini-series (and later TV series) called Sanctuary, in the role of Dr. Helen Magnus. The actress also appeared on the big screen, in movies such as thriller drama Dancing Trees and comedy Random Acts of Romance.